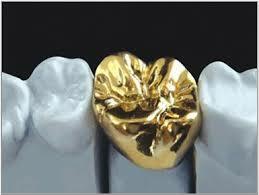 This week we’re examining a dream about how a gold crown on a tooth came loose. It’s a short dream, so I’m reviewing some of the principles and techniques of dream interpretation. After the dreamer related his dream to me, he and I spent some time isolating the most important words. There is a simple way to decide which words those might be. As you listen to a dream being told, simply right down the words you feel you would need to see in front of you if you were then asked to tell the dream yourself. Those words not only help you remember the details of the dream, they are also the dream’s most important symbols. Once those words are isolated, it is then important that the dreamer comment on each one. If you are helping someone with a dream, it’s vital that you keep your own thoughts and opinions to yourself. That’s why I always start with the prompt, “Tell me about it.” That’s as neutral a request as I know how to make. In the list below, you can see the important dream symbols in bold at the left. This is followed by the dreamer’s comments about each one. There is only one deviation from the pattern I have outlined above. I have added a dream symbol that was not in the original dream. When the dreamer commented on the word “teeth,” he used the word “food.” I believe that word is also part of the dream symbolism of this dream, so I asked him to comment on the word "food" also. * Teeth: They’re what you use to prepare the food you eat for digestion. They reduce it to manageable size. * Food: It’s what you take in to stay alive and to give you the nutrition and energy you need to stay healthy, strong and enthusiastic about life. * Picking teeth: Clearing away stuck debris. * Calmly: No stress or urgency, just peace. * Toothpick: It’s like a spear that you use to push unwanted food debris away. * Back molars: It’s where you chew your food and really break it down into tiny pieces. * Lower right side: Hm. Not sure what that might mean. The sense I have is back down in a hidden corner. Maybe easy to overlook. * Gold crown: Well, when you say it like that, it sounds like something royalty is entitled to. It’s the richest kind of hat you can wear. But, on a tooth, it is a protective surface that gives a worn tooth new life. That way, you can continue to use the tooth long after its productive life is over. * Crown give way: It came loose. It didn’t rigidly resist the way it is supposed to. * Pop off suddenly: That would be dramatic and surprising. It might cause consternation. * Eased sideways: The movement was subtle. * Have to get to the dentist: I need to visit the doctor who can repair this. * Just glue it: That would be a minor fix, not much of an ordeal. * Do some grinding: That would mean a complete rebuild with some stress and unpleasantness. On Friday, we’ll reassemble this dream using the dreamer’s own comments.